This article describes how nature-inspired algorithms (NIAs) have evolved as efficient approaches for addressing the complexities inherent in the optimization of real-world applications. These algorithms are designed to imitate processes in nature that provide some ways of problem solving. Although various nature-inspired algorithms have been proposed by various researchers in the past, a robust and computationally simple NIA is still missing. A novel nature-inspired algorithm that adapts to the anti-predatory behavior of the frog is proposed. The algorithm mimics the self defense mechanism of a frog. Frogs use their reflexes as a means of protecting themselves from the predators. A mathematical formulation of these reflexes forms the core of the proposed approach. 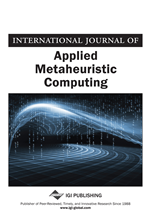 The robustness of the proposed algorithm is verified through performance evaluation on sixteen different unconstrained mathematical benchmark functions based on best and worst values as well as mean and standard deviation of the computed results. These functions are representative of different properties and characteristics of the problem domain. The strength and robustness of the proposed algorithm is established through a comparative result analysis with six well-known optimization algorithms, namely: genetic, particle swarm, differential evolution, artificial bee colony, teacher learning and Jaya. The Friedman rank test and the Holm-Sidak test have been used for statistical analysis of obtained results. The proposed algorithm ranks first in the case of mean result and scores second rank in the case of “standard deviation”. This proves the significance of the proposed algorithm. Mostly NIAs are based on the social behavior of the species existing in the nature. The behavior of species depends on the environmental situation and biological necessities. The biological necessities include search for food, spreading the generation and protecting themselves from predators. The social behavior includes the way it learns and mingles with the others. This helps us to formulate algorithms that aim to somehow translate these behaviors for solving various optimization problems in least amount of time. This section reviews the six well-known NIAs like- Genetic Algorithm (GA), Particle Swarm Optimization (PSO), Differential Evolution (DE), Artificial Bee Colony (ABC), Teacher Learning based Optimization (TLBO) and Jaya Algorithm. The GA (Holland, 1992) is based on the theory of biological evolution- ‘Survival of the fittest’. It states that only fittest individuals shall survive during the next generation while the unfit individuals shall be eliminated. During the biological evolution, various activities take place like- crossover and mutation of genes, selection of the fittest genes for the next generation. In GA, individual genes are expressed in string format, called ‘chromosome’. It uses three basic operators: crossover, mutation and selection (Mitchell et al., 1992). In the evolution process, current population is replaced by new population, which has better average fitness than the previous generation. So the mean value of fitness of the next generation becomes fitter than its predecessor generation. Various researchers have proposed different types of crossover, mutation and selection operators (Sharapov, 2007). The principle behind the crossover and mutation is to modify or update the old chromosome and produce a new chromosome (or offspring). This results in fitter offspring. The main difference between crossover and mutation is that crossover operator is performed over two or more than two chromosomes, while the mutation operator is performed on a single chromosome. The fittest individuals are selected through selection operator. Due to crossover and mutation, GA has the ability of exploration and exploitation simultaneously. Numerous optimization problems have been successfully solved by GA and its variants. Some of them are structural failure classification for concrete buildings (Chatterjee et al., 2017), medline text mining (Karaa et al., 2016), software effort estimation (Sachan et al., 2016) and many others.